In order to summarize the best products looking for crowdfunding as of July 2018, here is a technical comparison of our top three choices. They are being developed by startups in different parts of the world, aiming to achieve their dreams through platforms such as Kickstarter, Indiegogo and GoFundMe. The advantages of crowdfunding are needless to state, but it may be well worth mentioning that with growing ease of information access, people are increasingly critical of the relevance of upcoming innovative products. This makes it absolutely necessary for young product developers to perfect their ideas before attempting to sell to the global market. This new-age location tracker being developed a US based company called LynQ provides long range tracking without the need for phones, maps or networks. So why do you need such a tracker when everyone nowadays has phones with constant network and wireless internet? Because kids and pets don’t always have phones, and phones don’t always have network connectivity. This tracker offers the huge benefit of easily finding friends and children in crowds with no connectivity to phone service and internet providers whatsoever. It works in urban areas and remote places such as forests, mountains and open fields. It works in all parts of the world and has no privacy issues. It does not even require monthly fees, phones or any kind of connectivity such as WiFi. Step 1: Sync each other’s trackers. Step 2: Split up, if needed or by accident. Step 3: LynQ up with a click and find each other. Real-time display shows the distance and direction of every group member at all times. It has an alert system with rings, vibrations and light. It is weatherproof, waterproof and has military-tested durability. It gives up to 3 days of battery life on a single charge in mixed use, that is, a combination of active and standby modes. Up to 12 people can be synchronised with each other at a time. The signal range is up to 3 miles (5 kilometers). In comparison, bluetooth only works within 100 feet of your phone. Phones only work if one is able to use it, which depends on the availability of network and wifi. Maps only work if there is access to GPS and internet. LynQ uses long-range low-power radio frequencies to connect devices. The selling point of this product is that it lets you experience the moment and find your people later. You can go off grid and ignore your phone and emails and truly relax in the outdoors while keeping track of your group. You never have to worry about your children’s safety in crowds. You can also use the device on your wandering pets. It is the only tracker that will help you locate your group with just the click of a button, when all else fails. Back this project on Indiegogo here. 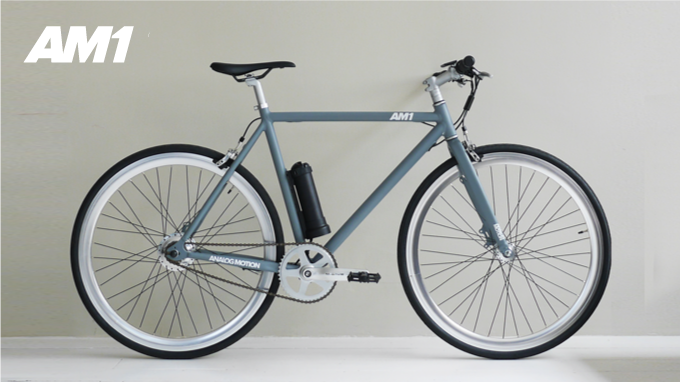 The AM1 electric bike is a bicycle with a motor, simply said. But at a time where public transport is improving in cities and with the age of of hyperloop right around the corner, why would anyone use a bicycle to get around in cities on a daily basis? City traffic clearly makes it quite a hassle to drive a car, especially with the added problem of finding parking space. Public transport is not always reliable and might make you walk uncomfortable distances. Electric bikes are too complex and cumbersome to handle. Addressing these drawbacks of conventional modes of city transport, the AM1 electric bike combines lightweight handling of a bicycle and the effortless riding of an electric bike. This is how it works. It comes with a motor that is fixed just above the pedal, much like a bicycle bottle rack. The motor gives the rider a boost when it’s needed by the use of a sensor. This sensor is installed in the pedal and delivers smooth and controlled power depending on the rider’s speed of pedalling. Slow pedalling results in slowing down of the bike, faster pedalling speeds it up. The pedal assist can be turned on and off using a controlled fixed on the handlebar, similar to a gear shift. While turned on, the assist can turned up for a faster ride with less effort, and it can be turned down for a relatively rigorous ride. With the assist off, the AM1 electric bike rides like a normal bicycle. It has a 20-mile (32 km) battery that covers an average commute of 8.5 miles (13 km) each way with spare distance remaining. This is assuming a rider weight of 165 lbs (75 kg), mid-level assist and moderate pedalling. The battery is lightweight, and the motor is compact with no gears. The overall weight of the AM1 electric bike is 13.5 kg (30 lbs). The average bicycle weighs 11 kg (25 lbs). The battery pack is removable and takes 3 hours to charge fully. All mechanical parts are compatible with standard bicycle components, which means no specialised customized parts are necessary. These combined with a typical bicycle frame create a lightweight and slender bike that is effortless to use. Back this product on Kickstarter. Developed by an Indian startup company called Uravu Labs, Eva is a device that makes drinking water from atmospheric water vapour. But with 71% of the Earth’s surface covered with water, why tap into the atmosphere? First, 96% of this water is saline and requires complex treatment systems to suit human needs. While groundwater and surface water have sustained our water needs for centuries, dense urban populations have depleted groundwater sources in several parts of the world. Eva provides an alternative source of drinking water where conventional sources are difficult to sustain. Atmospheric water might solve the problem of drinking water supply, not just for the present population but also the future. The Earth’s atmosphere contains around ten times the amount of water present in all of the Earth’s rivers put together. In addition to this abundant quantity, it is replenished every 7 to 8 days by the natural water cycle of evaporation and condensation. So how does Eva work? It uses a hygroscopic material along with solar thermal energy to convert water vapour into water. The hygroscopic material adsorbs water from the air at night. During the day, solar thermal energy is used to separate water molecules from the hygroscopic material by heating it. This, however, creates distilled water which is then passed through a material cartridge to add minerals and create a pH suitable for domestic use. The product is in prototype stage and called an ‘aquapanel’ by the Uravu team. All of this happens in a single independent off-grid unit which is 2.5m x 2.0m x 0.2m, similar to a rooftop solar water heater. One unit of Eva can produce about 20 litres of potable water in a day. This has been designed to suit the daily water demand for cooking and drinking for a typical residence of four people. Speaking of environmental concerns, Eva works completely on solar-thermal energy, a renewable source, which means its energy cost is zero. It is designed to be a passive-energy device with almost no moving parts. Eva aquapanels are up to date in the context of IoT and smart devices. They collect real-time data on various parameters like weather conditions, water production, water quality and usage. It also allows remote monitoring and predictive maintenance, so that tasks such as replacing the mineral cartridge or filters can be done well beforehand. A dashboard is available to the users to check for real-time parameters and performance. The gathered data also helps improve the product and build a data intelligence platform to improve user experience. So what makes Eva a clear winner among these brilliant inventions of 2018? 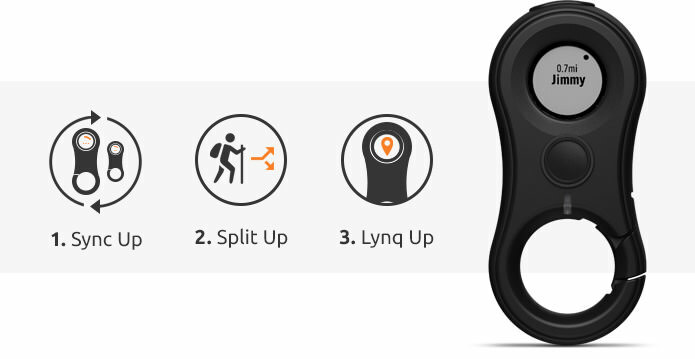 The location tracker by LynQ is undoubtedly useful with more and more people heading outdoors for recreation and entertainment in all parts of the world. With rising problems of mobility in our increasingly dense cities, a bike that is easy to ride may prove to be a relief for daily commuters. However, most cities in the developing world do not have the necessary infrastructure to support the use of the AM1 electric bike, or any bicycle for that matter. Its success may be limited to cities which already have dedicated bike lanes, which is seen almost only in developed countries. Similarly, the location tracker is useful to a specific type of people, leaving behind more serious concerns of other populations of the world. On the other hand, Uravu almost hits the nail on the head, having picked up a challenge whose relevance is difficult to compete with. Drinking water supply is also stated in the United Nations Sustainable Development Goals (UNSDG) for 2030. In addition to its features stated above, this product has the potential to eradicate bottled water, a major source of plastic waste in all countries. If Uravu’s financial needs are met through their crowdfunding campaigns, they will truly provide the world a product that could be the answer to our water crisis! Support Eva by donating on Indiegogo.